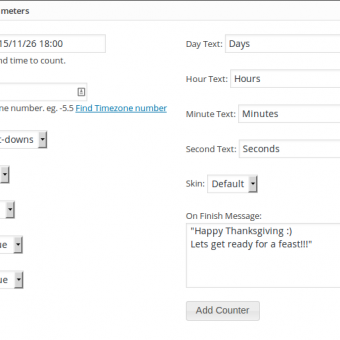 WP Timer Counter - WordPress Countdown Plugin can be used to set up a countdown for websites, events, the expiry date for offers and discounts/coupons. Time counter can be easily added in the content, in the sidebar area/widget or any visible part of the page where users can see the countdown. WP Time Counter gives you full control to your counter. WP Time Counter is fully responsive. The time counter contains attributes like days, hours, minutes, seconds. 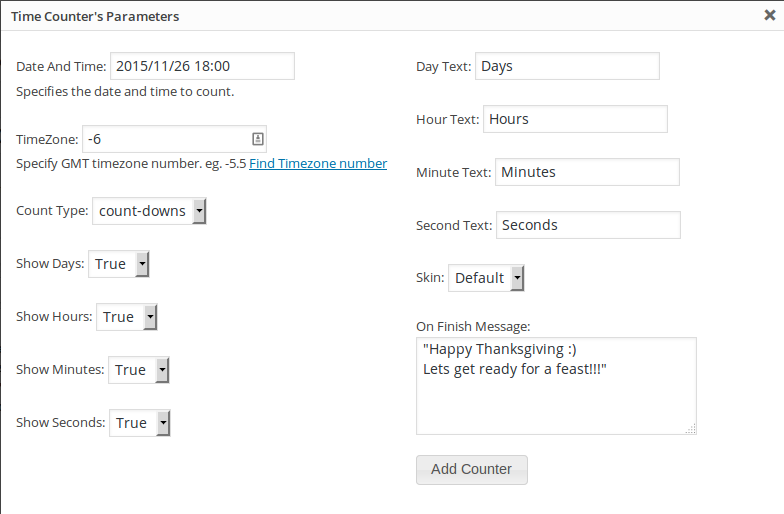 You can add WP Time Counter Plugin in the widgets area as well. You can also use WordPress Countdown Plugin in your blog posts or product pages widgets. No coding knowledge required for creating countdown for your websites. Note: Timer Counter helps users in taking fast decisions. 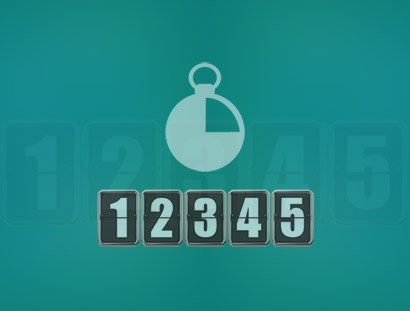 Add a stylish countdown with a single click using WP Time Counter. Why should you get WP Time Counter today? WP Time Counter can also be used to add countdown on your WooCommerce product page to promote your sale campaign. This would show how much time they are left with to purchase your product with discount. This would motivate them to take fast purchase decisions. WP Time Counter works great with both posts and pages. Choose from an option of 2 Count types - Count-downs or Count-Ups. Automatically generated shortcode for count-down/count-up. Pick any of the 6 stunning skins.